This Easy Pineapple Salsa Recipe takes only 10 minutes with 7 ingredients! 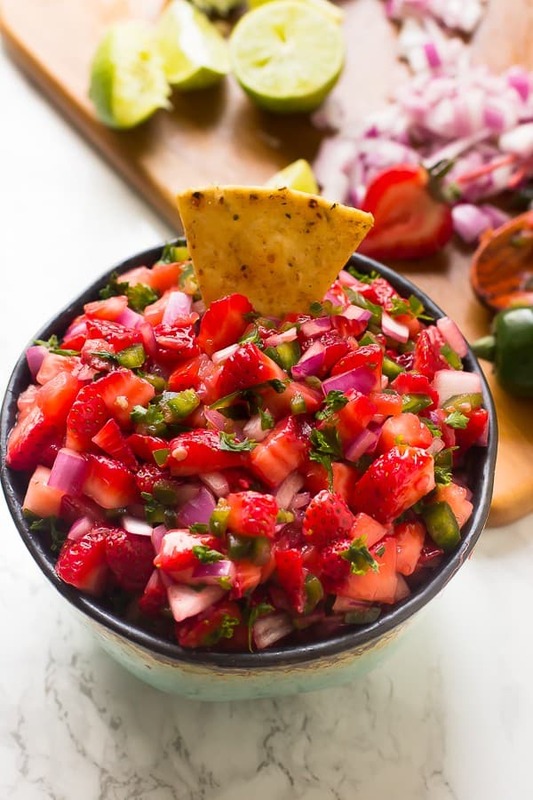 It’s a sweet and spicy salsa that is a total crowd pleaser and great for parties! Happy Monday! I had such a beautiful weekend and for several reasons. 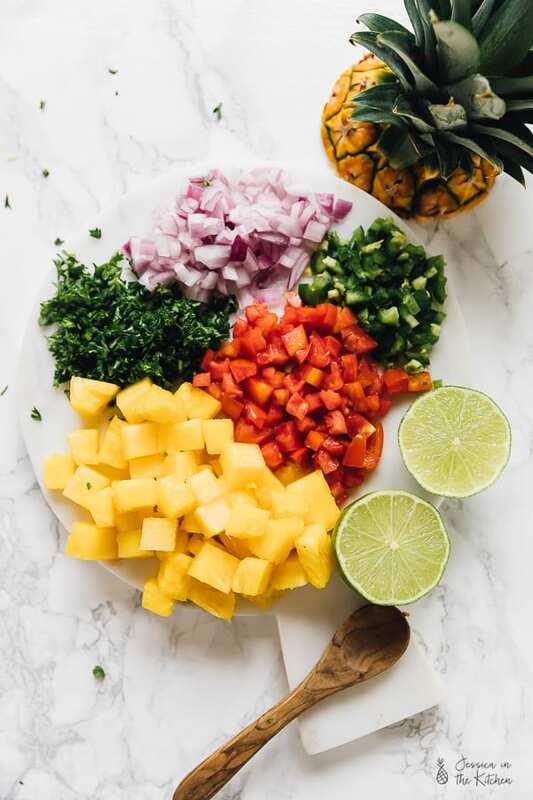 One – tropical food is amazing and we made so much of it – I can’t wait to share it all with you! Two – I blogged a what I eat in a day for the very first time! They are so different to edit than my food videos, so I’m definitely have been and will be learning a lot about diversifying my editing styles. Speaking of learning, I’m an avid, always craving, never satisfied kind of permanent student. While I don’t necessarily plan of going back to school (maybe one day? ), I absolutely love learning. It’s something about a brand new piece of information that’s been available for ever and finally having it in my grasp. To be able to have and to hold as my own. To foster it, let it blossom and watch it grow in so many ways. Okay I’m getting really poetic but honestly it’s addictive! I love a great challenge and I love knowing that I don’t know it all. Why? Because it means that my life and my career will never ever get boring. It’s a real blessing, to say the least. Speaking of learning – you know the saying you can’t teach an old dog new tricks? Wrong. 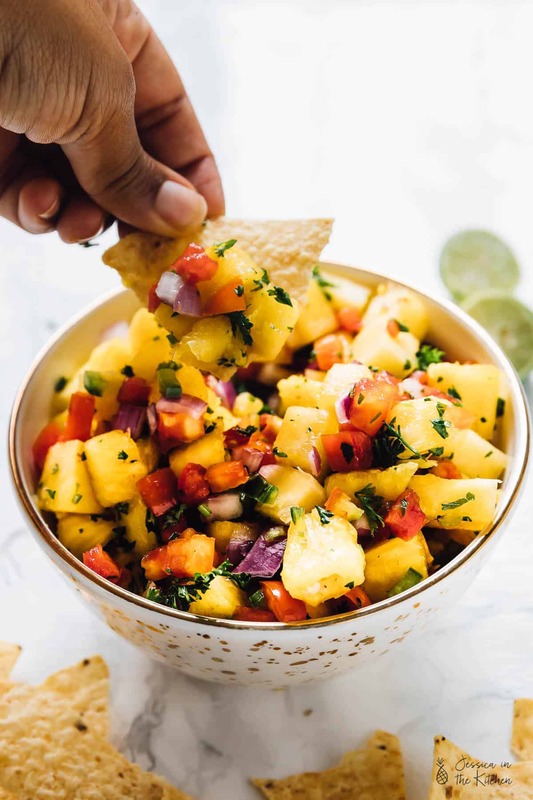 I’ve made this pineapple salsa so many times before and *man* it keeps getting better. Cooking is one of those things that helps to feed my learning craving since you learn something new each time. A new spice can completely change the profile of a dish. Or using a different kind of tomatoes. Or in this dish, something as simple as switching up the quantities and letting your heart decide on amounts. 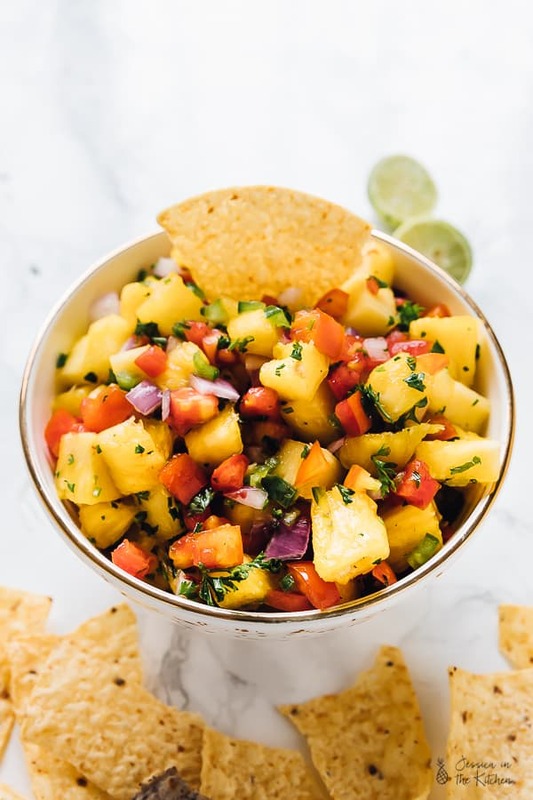 I realised after making this Pineapple Salsa the last time that it deserved its own spot on the blog to shine. 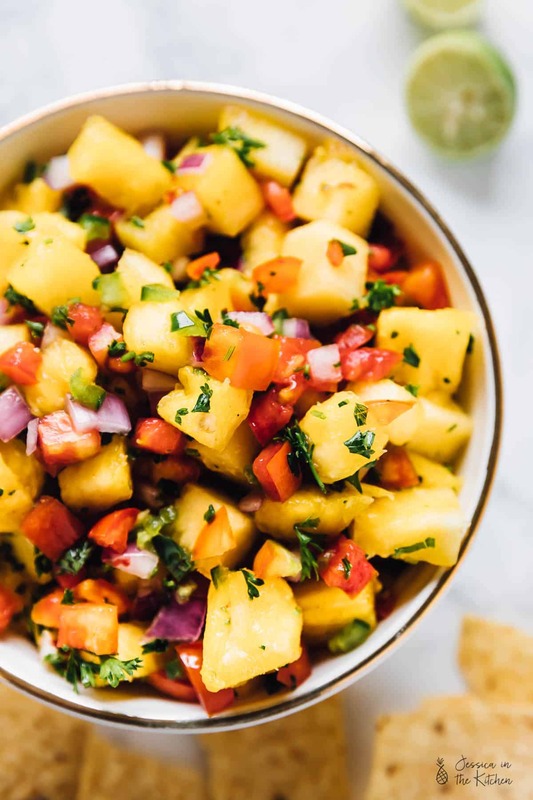 This pineapple salsa is tropical + simple = ultimate paradise. It’s made up of some simple ingredients: pineapple, lime, parsley, tomatoes, red onion, jalapeños, salt and pepper. You couldn’t get more simple if you tried. 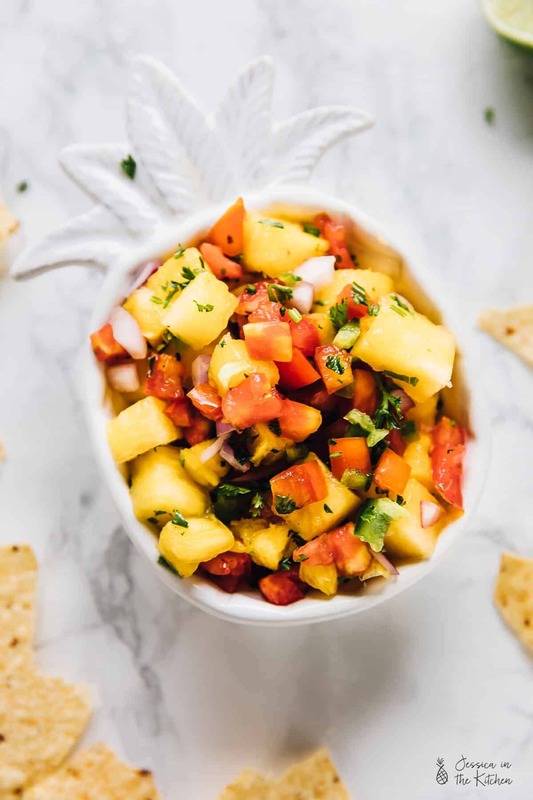 It’s your basic salsa recipe that decided to take a vacation to Jamaica, then decided to move there. When you using a really ripe but still firm pineapple, it changes the game. 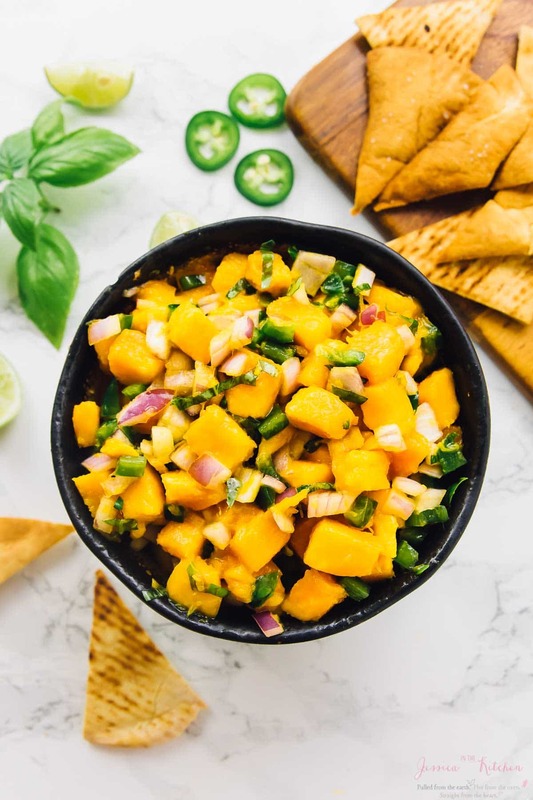 You get some delicious punches of sweet, salty and spicy in this salsa. It’s so hard to describe just how divine it is, but Gav finishing it all by himself (minus me taking a few bites) is pretty much the best description of its flavour that I can find for now. Also? Feel free to switch it up. Less tomatoes, more jalapeños, cilantro instead of parsley (not for me, but might be for you). I always want you to feel like you own it in the kitchen, so trust your heart and intuition and go with your gut! This recipe is bound to blow your minds and be *that* salsa at parties or game nights. Eat up friends and enjoy!! 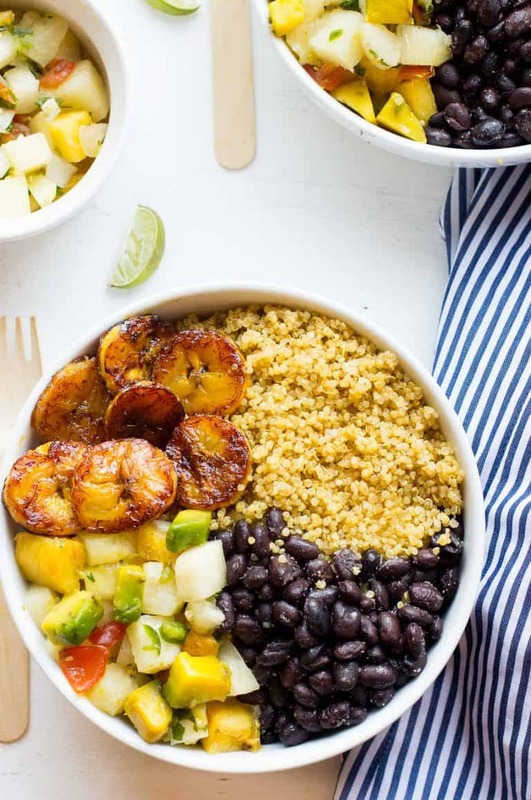 Add all the ingredients to a bowl and toss with a spoon or spatula, throughly until all is incorporated. Feel free to add more lime juice and switch up any quantities. Optional, but let it set for at least 30 minutes for the onion bite to be gone and for the flavours to meld together. It’s even better with this air time. Enjoy! Look for a pineapple that is nice and sweet and juicy, but still firm. Due to the nature of tomatoes and pineapples, this dip will get juicier the longer you leave it in the fridge. Feel free to drain the juice or just stir it around to soak it back up again!